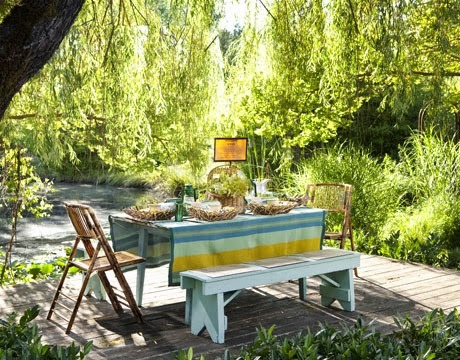 Outdoor dining doesn't have to be elaborate to be fun and entertaining, and I found some great ideas for simple outdoor dining at Country Living. Pulling out some vintage items from around the house to use as props for an impromptu Friday night fish fry is always fun. I love old fashioned picnic tables. This one has been painted white and topped with a basket of lemons for a fresh simple look. An eclectic mix of vintage china and chairs under the shade of an old tree is a wonderful way to cool off on a hot summer day. Summer is the perfect time to bring out those colorful table accessories. 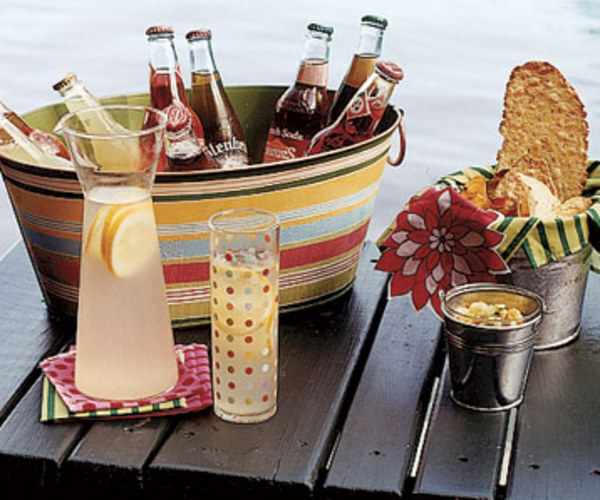 A brightly striped galvanized tub is a fun way to serve up cold drinks at a summer picnic. 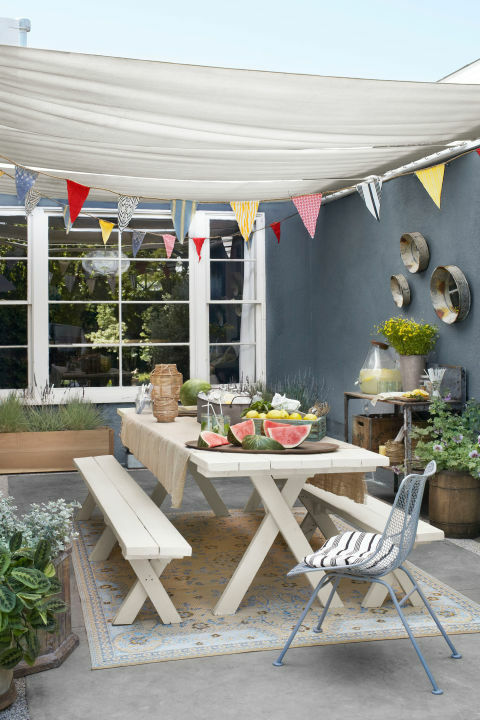 Summertime entertaining doesn't have to be complicated or expensive. A little imagination and using items you already have on hand may be all you need for a fun gathering for friends and family. All photos via Country Living. P.S. I am busy helping my mom move this week so Women Speak will return next Thursday. Past weeks of Women Speak can be found here. So pretty! I love outdoor spaces. Good luck with the move, I know it is hard work but it will be good to have your Mom settled again. 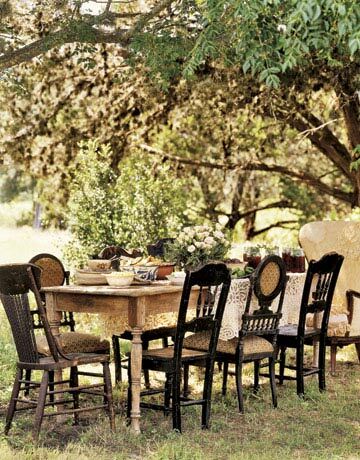 Nothing like dining outdoors! The settings are all just wonderful, thanks for sharing! I am ready for some outdoor dining, Nancy. good luck with the move and to your mom. All those pictures made me dream, especially as the weather can't seem to be able to settle here this month! It's raining and it's sunny in the same day, several times! Good luck with the move. It is a lot of work and you are such a good daughter to help you mom. Love outdoor spaces so much. Lots of pretty inspiration here. I love these images, Laura. I hope to do something similar on our large deck this summer - just for fun.